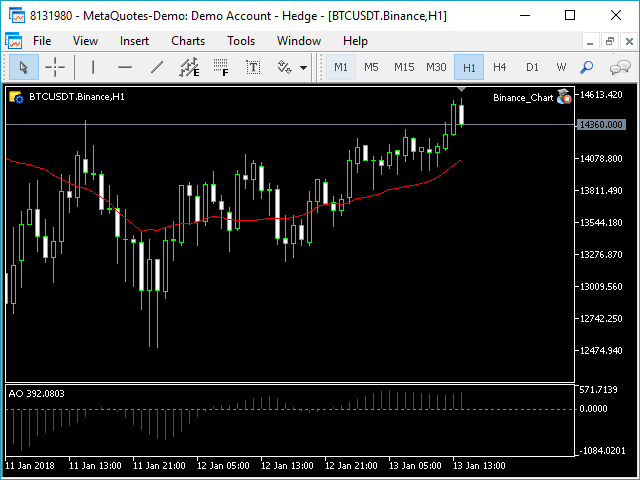 The tool is used to create custom chart from pricing data of Binance.com, realtime updates, easy for technical analysis, export data to CSV file, backtest your strategy with all indicators in MetaTrader 5. 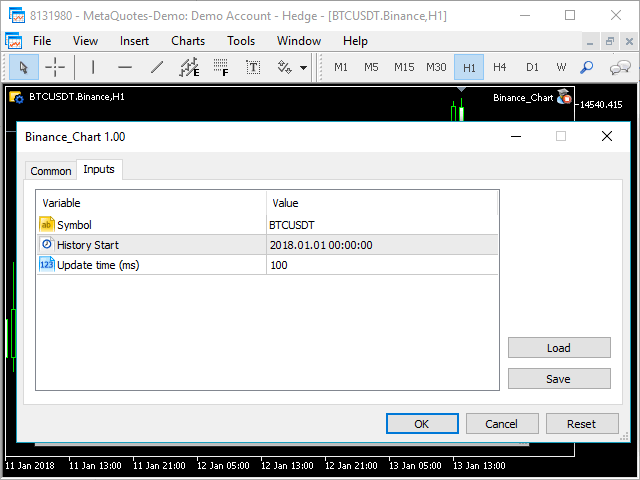 Attach the Expert Advisor to a chart, then input symbol, input the date to download history data. Export data to CSV: after creating the chart, press Ctrl+S (or menu File \ Save) to save file. 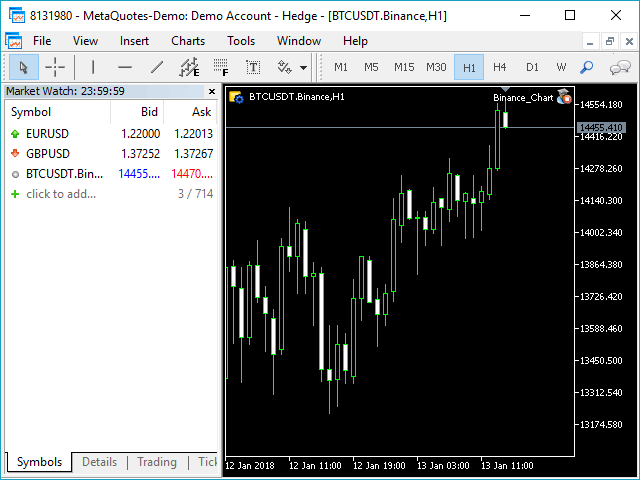 Fixed error after MetaTrader 5 upgrade. Improved the algorithm to work better.